This news snippet was in American magazine Ahoy, April 1985 and it heralds the start of the manufacturing of Mastertronic disks in the USA. 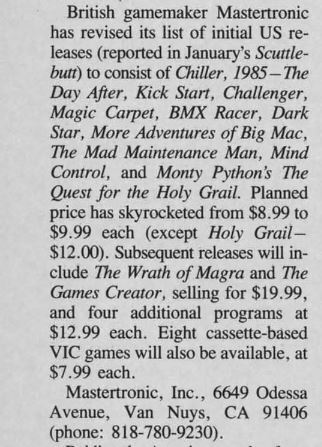 Quest for the Holy Grail was not released in the UK until late 1985 (but might have been delayed due to licensing restrictions). There are three educational games that were released in the UK by Mirrorsoft but the most fascinating one of all is the mention of Wrath of Magra, which was a Spectrum project. This game never was converted to any other format. 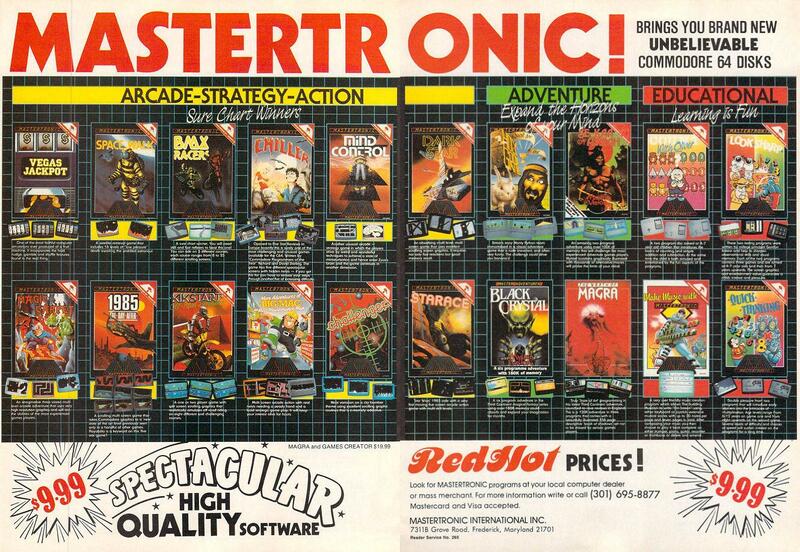 Mastertronic Inc, 80% owned by Mastertronic, was run by Gary Snyder. This ad was found on a French website dedicated to Amstrad games, CPCrulez and at the same time I found someone trying to sell a copy of it for $25! !